Speaking of the Supreme Court, before the debut of the Hat the big news was that Justice Thomas had astounded the legal world by actually speaking during oral argument. As it was his first utterance in nearly seven years, pundits immediately began punditing as to exactly what Thomas had said, what it might mean, and, if it was a joke as many believed, whether it was funny. The revised transcript, released Wednesday, resolves at least some of these questions. 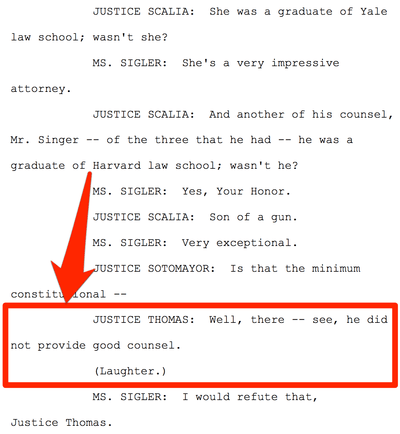 JUSTICE THOMAS: Well, there — see, he did not provide good counsel. Also, according to the new report Carla Sigler is also a graduate of Harvard, which explains her statement that she "would [like to] refute" the suggestion that a Harvard grad would by definition not provide "good counsel." Of course, she could conceivably have been referring to Yale, too, but Yale was the antecedent then everybody's timing was way off. Clearly, the better explanation is that Justice Thomas was mildly bagging on Harvard, not Yale. Reuters notes that the revised transcript also confirms that although Thomas did speak, the Words did not constitute a question. 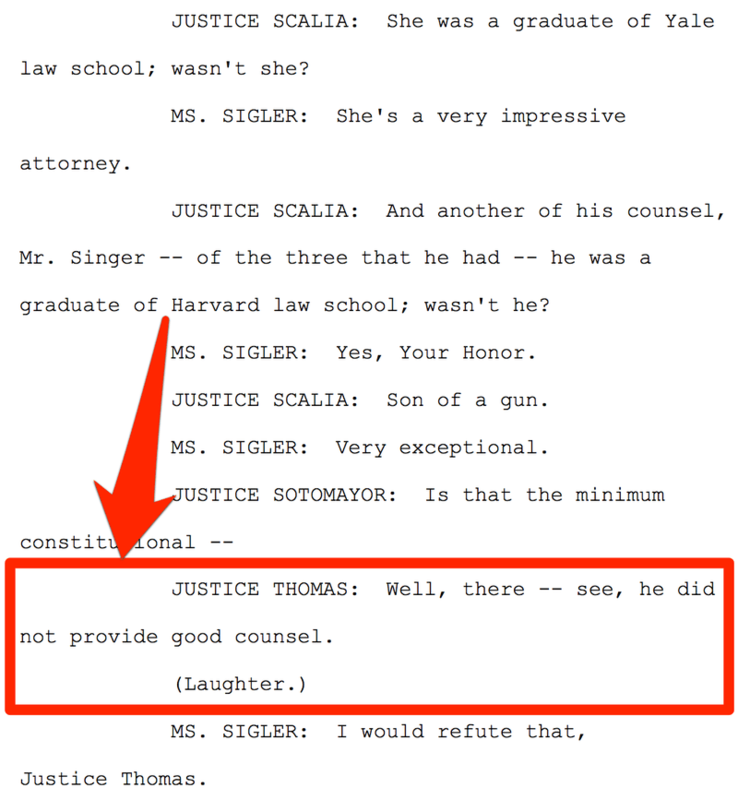 Therefore, it remains true that Justice Thomas has not asked a question during oral argument in almost seven years.